The biggest selling point of HubSpot is that it’s an all-in-one marketing platform, but that’s also it’s biggest setback. Many marketing managers and business owners source HubSpot as it’s an affordable option which contains exactly what they need, meaning the software often goes under-utilised and bluntly putting it, wasted. Whilst it may take 10,000 hours to master something, it’ll take you a fraction of that to be adept and know how to use HubSpot comfortably. The mastery? Well, that can come later. For now, you just need to ensure your portal (or HubSpot to you non-geeks) is all set up and you’re getting the most from the system. What is an unhealthy HubSpot portal? The easiest way to identify if your HubSpot portal is unhealthy is to list what you should be avoiding, and if you do them, well, don’t. An unhealthy HubSpot portal can be summed up as any license holder not using HubSpot to its full potential. You can identify if you’re not getting the most from it within seconds by asking yourself the following questions. 1. How fresh are your e-mail lists? When did you last update them? Email lists are one of the biggest-impact fundamentals contained within a marketer’s toolkit. You can segment by demographics, behaviour, the scope is almost endless yet so many marketers use an inbound marketing platform, to essentially spam their database. C’mon guys, if they’re not responding after that 3rd or 4th e-mail, get the hint. Review your workflows, send an unsubscription e-mail, make sure the people you’re talking to are interested. Database size is important, yes, but database quality is far more valuable, as the lower your open rate falls, the more likely you are to see your future emails end up in spam. In short, you should review your email database once every 6 months, or every quarter (3 months) depending on the frequency of your emailing. It’s not uncommon where you’ll find HubSpot accounts lingering in the abyss of having one huge list (if you’re lucky) with all your past and current leads in regardless of their interest. 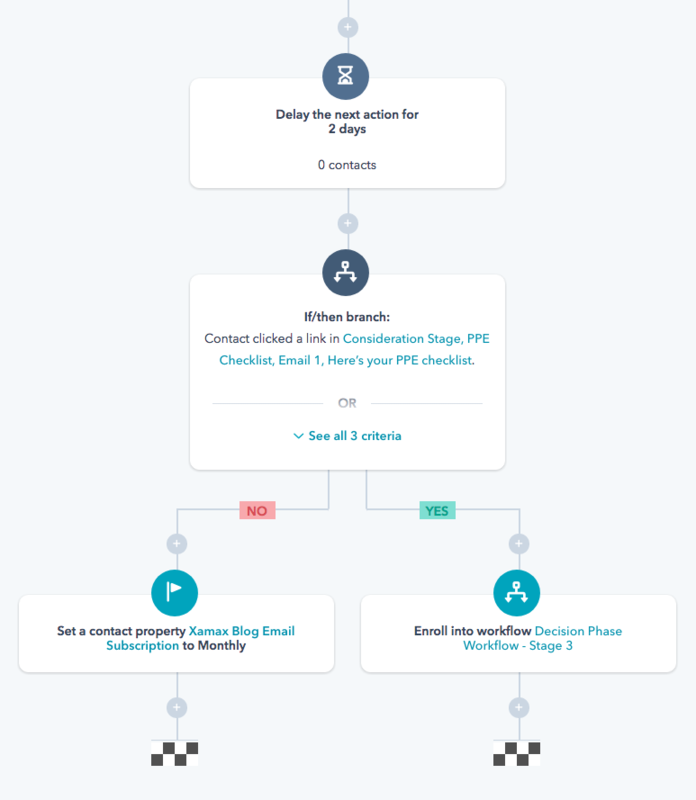 Your first priority should be to assign contact properties to already-known leads and customers to ensure your leads aren’t receiving up-sell e-mails to things they haven’t bought, or your customers receiving abandon cart emails when they’ve already checked out. It’s a consumer headache waiting to happen. 3. Have you connected every social platform AND are you using them? Okay, this may be an obvious one, that may have initiated various countless eye-rolls - but do I need to mention that in a study of 500,000, 90% of Google+ profiles had never posted publicly? Oh, and when the study was extended, out of 110 million active users, only 6.7 million users have posted 50 or more posts, ever. So, if you’re not posting to Google+, you’re far from alone. You can ensure all of your HubSpot social accounts (whether corporate or personal) are connected by heading to Social > Social Settings and “Connect Account”. 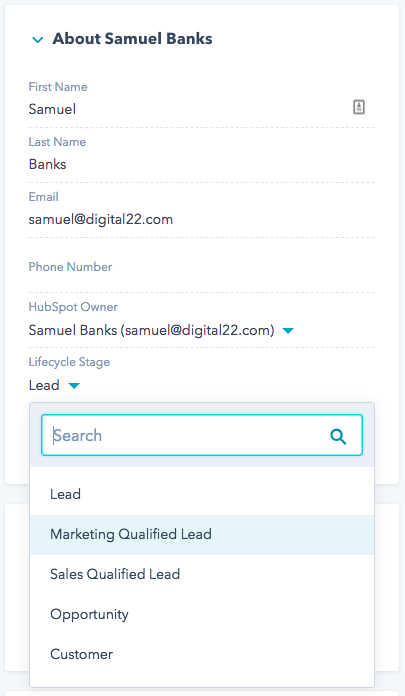 and if you’re an agency, make sure you have used the “default account” feature for each HubSpot account you use. You wouldn’t want your high-end fashion retailer accidentally sharing ‘The Top Pork Pie Trends in 2017’ blog, would you? 4. Are you separating marketing activity by campaigns in HubSpot? HubSpot is all-in-one, expansive, and scalable, therefore we’re bound to all use this common software for different purposes - some to sell, others to educate, whatever works. What we can all agree on, is that there’s different stages until your traffic turns into valued leads and some of those, require a greater push than others to get over that conversion finish line. In order to get them over that finish line, you need to ensure they’re receiving the content that they not only want to see, but need to also. It’s similar to contact stages, but for the traffic that hasn’t yet entered your database. I mean, what piece of content got them the furthest through your funnel? You don’t know, without spending hours trawling through the depths of HubSpot to find your best performing CTAs, landing pages and emails, and even then - were they even for the same purpose, was there any correlation? So, when you’re reporting to your superiors on how well an offering went, whether it was promoting an eBook, cheat-sheet or a voucher code, campaigns will tell you how well your social media posts, blogs, emails and landing pages pieced together in delivering that content. Which tweet drove the most leads for that voucher code? Which Landing Page gave away the most eBooks? 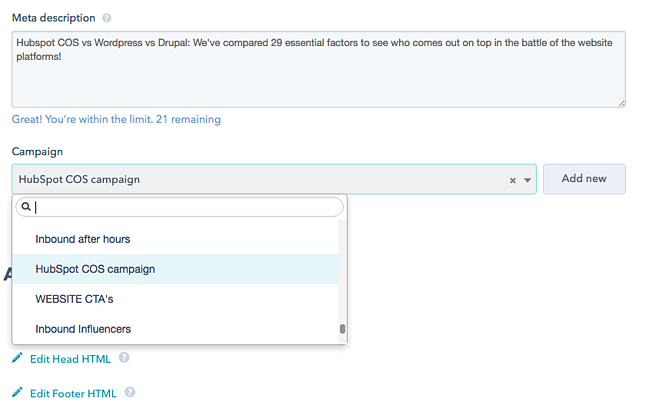 You’ll find campaigns in the Productivity Tab in your portal, here you can create campaigns via the big blue button in the top-right. 5. Do you know what your competitors are doing on social media? That’s right, you heard me right - “in HubSpot”. 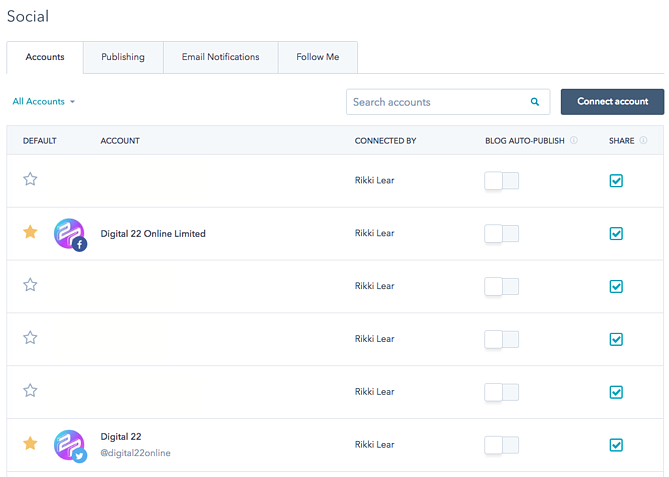 HubSpot has it’s own Monitoring Tool in the “Social” tab where you can track both competitors, hashtags, and keywords. In fact, you can pretty much track or ‘monitor’ anything that you wish, social stalk to your heart’s content. The monitoring tool is great for inspiration, aggressive social strategies, or just staying up-to-date in your industry - what you do with it is completely up to you. 6. Have you updated a previous workflow to include your latest one? So, a lead has downloaded an older eBook - hurrah! But wait, surely if they’ve downloaded that, your next priority should be to give them something of further interest to them? In other words, upsell whilst you still have the chance. Utilise the “Enroll into workflow” feature when building and interlink your past and present (relevant) workflows to drive 1 eBook download into 2 eBooks and a cheat-sheet - at no additional work to yourself. The highest converting traffic, are ones that have already converted. So, whilst a thank you page link may not always cut it with oftenly being missed - e-mails can be your saviour. 7. Do you know what an MQL or SQL is? More so, do you have content for each? Okay, we’re heading into the age-old sales vs marketing debate, and ‘who’s responsibility is it?’ dilemma. Brace yourselves. …within the HubSpot Contacts Tab, which you can then label individuals as one or the other. Generally speaking, MQL comes before an individual’s transition to SQL, and MQLs have less contact information in their profiles (which is also a great indication of how willing they are to be contacted directly at this moment in time). SQL’s are then the final stage before they (hopefully) reach the customer stage. By having both your Marketing and Sales Teams working on HubSpot it means internal communication is better and database members are experiencing the best user experience. Gone are the days of “I thought you were meant to..” and “did you fill in the…” between Wordpress and Salesforce, due to full transparency and accountability. So is your HubSpot portal healthy?